When putting it back togther, make sure that the 3 tumblers fit down over that piece of metal sticking up and the rolling gear on the right fits back together…hope this helps! If you have the odometer wheel out just hold it in your left hand with fingers holding the first metal tab(left to right) and turn the gear with other hand until you have 9 in the ten thousand place. Then just keep holding the first metal tab and now hold the second metal and turn until you have 99***. Then you do the same for the rest until 99999. Then I just reinstall the wheel and then turn the speedo by hand a few turns until 00000. Hope that helps. use a old wall mart gift card!! plastic bottles or milk jugs dry up and crack apart in the heat! !i live in Arizona, and extreme heat caused mine to break(tried milk jug) they also shrink & deform with heat…wallmart is good for something!!! just cut the slots out with exacto knife. It will come out that way – I have done it – just go slow and you will eventually be able to get it out and back in without taking off the needle. Reinstall is the exact opposite – making sure that all the items listed above are adhered to. I have driven off with my parking brake partly engaged on a couple occasions and today I had a brain flash! 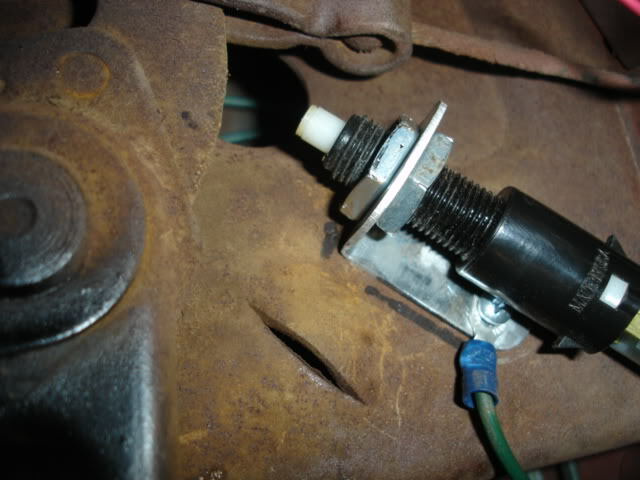 I mounted a brake light switch that is normally open on the parking brake bracket, I grounded one of the two lugs to the bracket and ran a wire from the other lug to the brake wire on the master cylinder. Now when the key is on and the parking brake is engaged the “brake” light in the dash lights up until I release the parking brake. It was a ten minute operation and works perfectly. 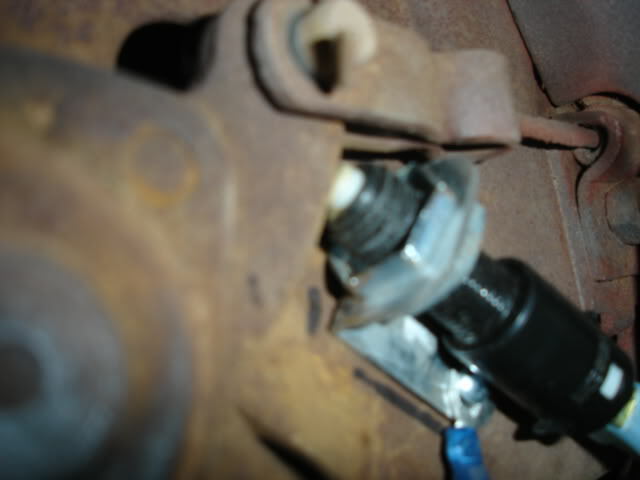 One side of the switch goes to the ground lug, the other to the wire on the Master Cylinder. Updates to the thread were made by Bruce88 and include this. More info once the installation begins.. Can’t wait! Dakota Digital is proud to introduce the BIM Expansion modules for Dakota Digital VFD and VHX instrument systems. The introduction of the Dakota Digital BIM modules allow you to add up to an additional 16 gauges, that’s right we said SIXTEEN specialty gauges to your vehicle without the need to cut extra holes in the dash or installing pillar and pod mounts to your columns or under the dash. Please note that the BIM modules are only compatible with current VFD, VHX and RET control boxes which have a black plastic housing. Control boxes with metal housings are not compatible with the BIM modules. Scored these at a great price, will be using them in Trippin Hazard!! ·Back lit technology is popular with performance instrumentation due to precise lighting allowing you see what is truly important when you really need it at a quick glance. Each number, tick mark, annunciator, needle, indicator and digital message center is lit by a series of LEDs behind the gauge face.